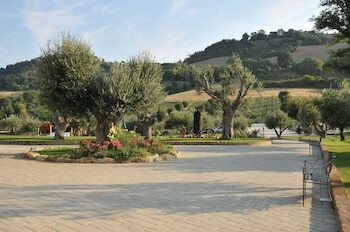 When you stay at Agriturismo Poggio agli Ulivi in Ancona, you'll be 12 minutes by car from Luigi Paolucci Museum. The front desk is staffed during limited hours. Free self parking is available onsite. With a stay at Agriturismo Corte Carolina in Verona (Nord-Est), you'll be within a 15-minute drive of Roman Theater and Verona Archeological Museum. Free self parking is available onsite. A stay at Locanda Gaffaro places you in the heart of Venice, within a 10-minute walk of St. Mary of the Friars and Ca' Rezzonico. The front desk is staffed during limited hours. With a stay at B&B Paradiso in Mestre, you'll be within a 15-minute drive of St. Mary of the Friars and Porto Marghera.